Before Independence Of Our Nation Came Independence Of Mind - C. Theodore Hicks II. Throughout this great land we pause to celebrate our nation’s independence from Great Britain. As we do, those that truly commemorate the occasion likely reflect on Founding Fathers like George Washington, Patrick Henry, Benjamin Franklin, and Thomas Jefferson. A thorough study of the times yields awe at what these men accomplished due to the strength of the principles in which they believed and the lengths to which they were willing to go to fight for these ideals. Recently, another Founding Father has regained some national prominence as of late – Alexander Hamilton. 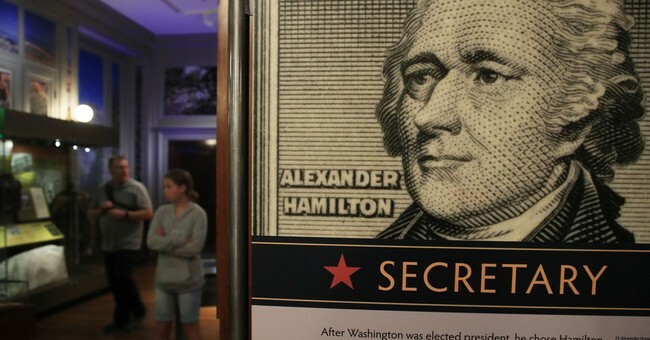 According to one of his biographers Ron Chernow, Hamilton is arguably the lone Founder who can be credited with forging our independence as a nation and creating the economic system which propelled our then fledgling nation to global economic dominance. Hamilton was well known for his self-taught knowledge of countless subjects. His brilliance was unquestioned. An autodidact in and of itself is impressive. However, to reach the level of mastery in so many varying topics, all through self-learning, is astounding. Today, largely due to the economic powerhouse that Hamilton helped create, many of us have become very specialized: we tend to know our field and our field only. Harvard Business Review printed an article in their July – August 2011 edition entitled, “The Age of Hyperspecialization”. In the article, the authors point out that the productivity gains that we have enjoyed over the years is a direct result of dividing labor into specialized tasks. This division of labor allows us to add economies of scale as work is done by experts who can do the work efficiently. We can thank Hamilton for this innovation as he fought hard to create an economy where the independent states were linked economically whereas many of the founders simply did not comprehend his economic brilliance. By ensuring that the fiercely independent states could easily trade with one another, regional specialization developed. This was arguably the first step towards what we now know as the division of labor. However, there is danger in this specialization too. Before the days of a hyper-focused labor force, workers tended to be more generalists. Therefore, by definition, they were more informed on a broader variety of topics and skills. Unfortunately, when our knowledge, or expertise, is limited, it can be hard for us to comprehend the arguments made by a friend or colleague. Conversely, debate sharpens the mind – “iron sharpens iron” as the saying goes. This is true whether the debate happens over the kitchen table with your children, the corporate board room with your boss, or over a conference table with your financial advisor. When the debate is done with gentleness and respect, we are generally better off for the dialogue for critique helps us to refine or sometimes correct our point of view. There is value in understanding another’s point of view. Likewise, there is value in other’s understanding your point of view. However, to have that dialogue, we must be armed with at least some basic knowledge of the topic at hand. Through Hamilton’s self-studies, he gained a deep understanding of a multitude of topics. As a result, he was in a position to make intellectual contributions in many areas. He was rarely at the mercy of others because he was always armed with knowledge. In our hyperspecialized world today, it could be beneficial to model the work ethic of Hamilton as a model for our own self-improvement; for to be unable to intellectually debate others leaves us dependent upon their judgement. As we celebrate our nation’s independence, let us endeavor to remain independent intellectuals. The views expressed here reflect the views of C. Theodore Hicks II, CFP as of 29 June 2018. These views may change as market or other conditions change. Actual investments or investment decisions made by Ameriprise Financial and its affiliates, whether for its own account or on behalf of clients, will not necessarily reflect the views expressed. This information is not intended to provide investment advice and does not account for individual investor circumstances. Investment decisions should always be made based on an investor's specific financial needs, objectives, goals, time horizon and risk tolerance. Past performance does not guarantee future results and no forecast should be considered a guarantee either.